When talking about decoration, rough surfaces are currently a trend. As synthetic surfaces are usually perfectly flat, rough natural materials are very much appreciated by both the final customers and the designers. The scratches over the wood surface are understood as a sign of authenticity. Despite of this CHANNEL VENEERS offers Ash Crown Cut Scratched. Thanks to it´s roughness, this natural wood surface makes possible to feel the sense of real wood comming out of the sawmill. Ash is a well known wood. It is light and hard, having a light brown colour. 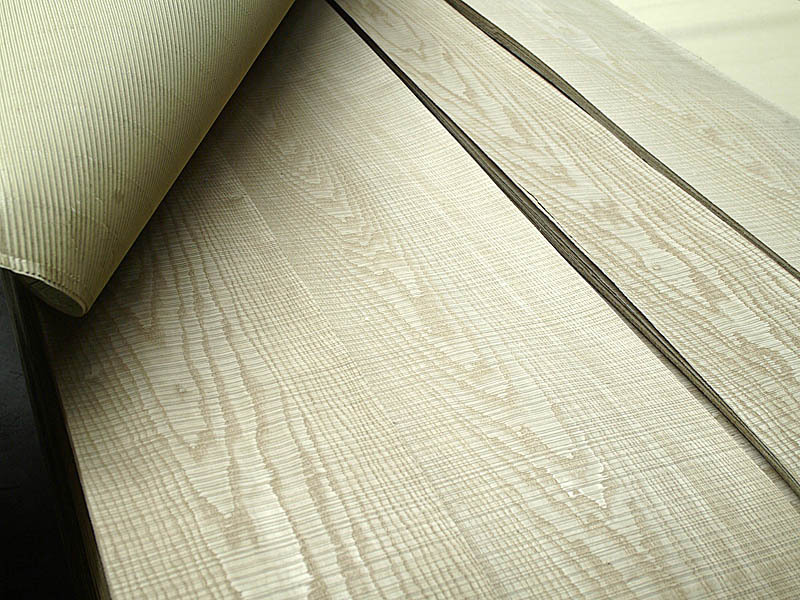 When it is Crown Cut, it also shows a beautiful and classical pattern of natural wood. Ash solid timber is also easy to find in order to be combined with the veneer making possible to design and to build with big freedom. 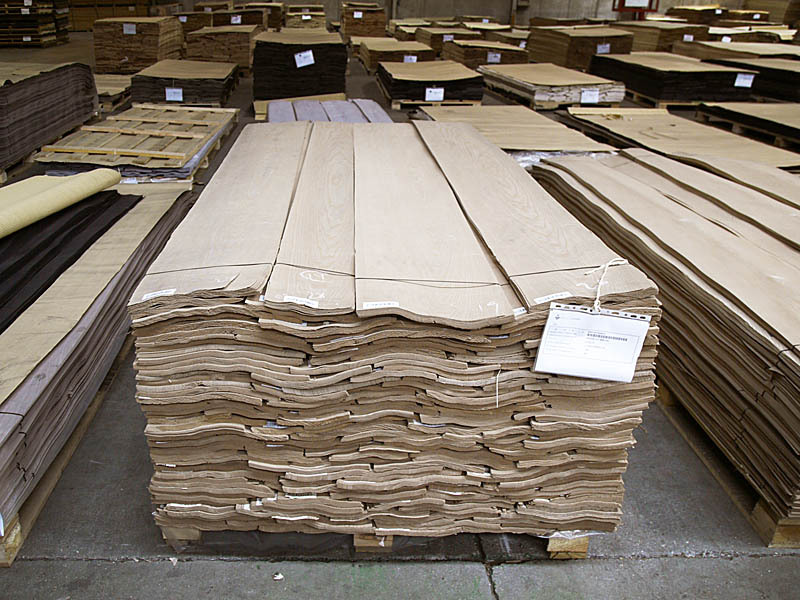 In addition to this natural appeal, CHANNEL VENEERS provides to it’s customers a special Ash Crown Cut veneer where the cutting surface is not flat. This original change defines a rough surface that remembers the finishing of boards coming out of an old saw. As the wood surface is not perfectly flat, the veneer reflects light in a very special way. 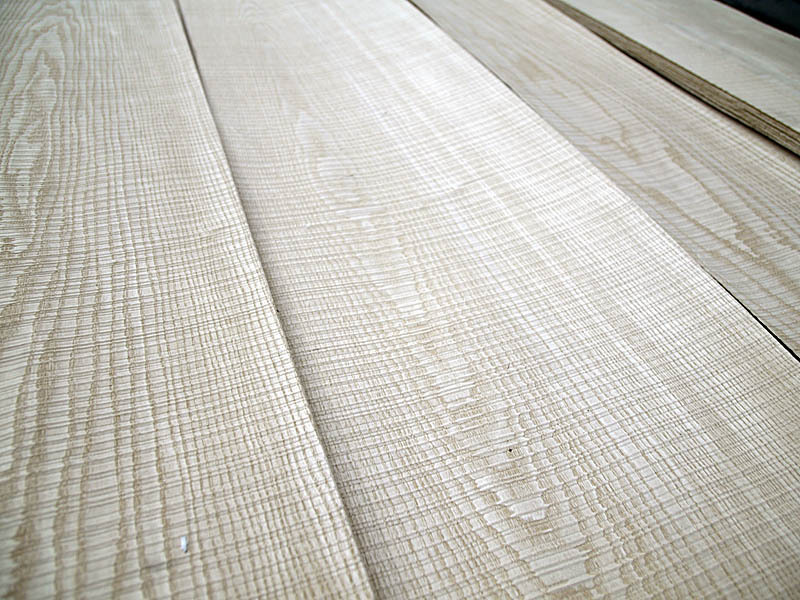 The scratching finishing is identified by the company as FEELWOOD finishing. As a result of this, the Scratched Ash veneer is especially suitable for easy going commercial spaces and restaurants as well as second housing. 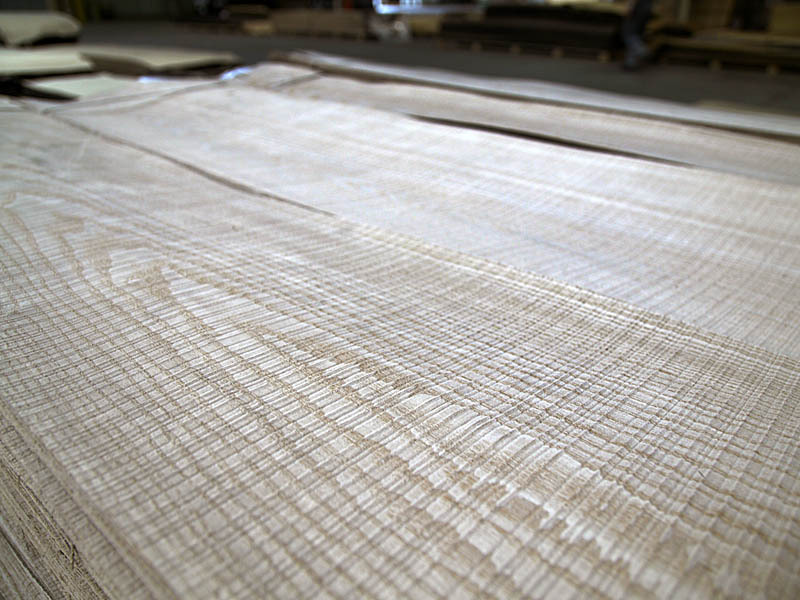 As shown in the pictures above, CHANNEL VENEERS selects the best logs of Ash Crown Cut to produce the final scratched wood veneer. This makes possible to provide wide bundles in full lengths, most of then over 3.10 meters.